Welcome back to another “very over the top, so exciting” judge of the week, well not over the top but exciting, featuring Jess Dunks. 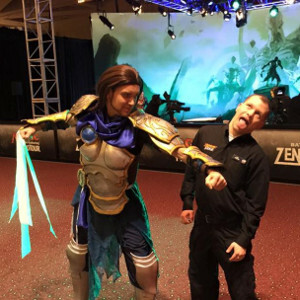 Formerly Event Coordinator for ChannelFireball.com and Korean Linguist for the US Air Force. Commander General: I have never built a Commander deck. Best tournament result: Bombed out of Day 2 after a strong day 1 of a Modern GP. Random fact about yourself:I recently bought a house and my favorite part of it is the garden. Last year we rented a house in downtown Atlanta for DragonCon. We were joined by a bunch of judge friends (14 levels in total!) and bonus friend Sara “Mama” Mox, our wonderful Judge Community Manager, and did absolutely nothing judge-related for four days as we geeked out enjoyed my favorite convention. Cultivating the friendships I’ve gained through judging has been one of the most rewarding “side benefits” of being a judge, and it’s really what’s kept me going for most of a decade. Since certifying as a judge in 2010, I’ve been fortunate throughout my judge career to have access to great mentors, and I’m grateful to all of them. In fact, I’ve had enough mentors that trying to list them would be a disservice to those I’d be almost certain to forget. However, there are three that stand out to me as exceptional influences, and I’d like to highlight them. Eric Levine – Eric is the judge who taught me the most early on and laid the foundation for my judge career. 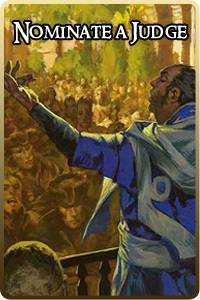 I went to every prerelease and every comp REL event I could get my hands on, and as the Event Coordinator for Superstars (AKA <a href=”http://www.channelfireball.com/” target=”_blank” rel=”noopener noreferrerChannelFireball.com) he was the HJ or TO for almost all of them. He is a treasure trove of information on rules, policy, how tournaments run, investigations, diplomacy, how tournaments run, DQs, Head Judging, how tournaments run, and how the judge program works in general. He’s a ton of fun to talk to about these things. In fact, he often has conversations in such an exciting way that his one-on-one mentorship sometimes turns into mini-seminars as judges gather around to figure out what he’s so animated about. More than the things he taught me, however, it is his desire to bring out the best in people that I benefited the most from. 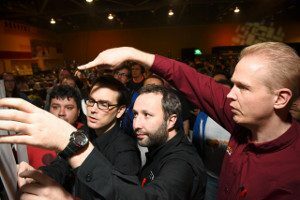 He has trusted me early in my judge career to take on big roles that I would learn a lot from, going all the way back to the first midnight prerelease I was the head judge for, and eventually to recommending me to take over his spot at Channel Fireball. He set me up in situations at events where I was challenged but still had a safety net if I was in over my head (he knows about how tournaments run), and he taught me to do the same for my own judges and judge candidates later. My Favorite; HJ for the sanctioned FNM at the Mox wedding reception. 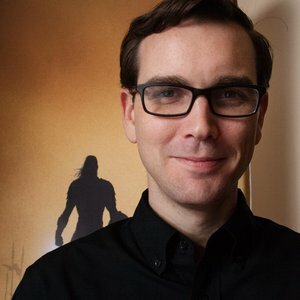 Matt Willams – Matt is probably better known as Billy Willy in the judge community. He is also known by many as a very strong Logistics judge, and in truth that there’s no one I’d rather have by my side when an event goes sideways. And we work together a lot, despite living in different states. 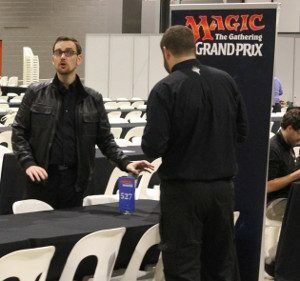 I think I have seen him at a Grand Prix, SCG Tour event, or conference at least a couple of times every month for a couple years now. Like Bryan, Billy Willy and I have spent a lot of time together delving into the nuances of judge work. 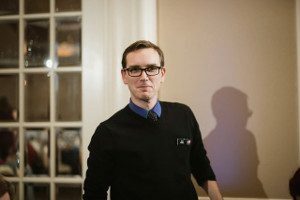 Unlike Bryan, those conversations are more often about room layouts, team compositions, break schedules, and how to generally prevent events from going off the rails. Beyond that, however, he’s truly adept at giving actionable feedback. When most people are just grousing about something, he’s proactively identifying ways that it can be better. I know that I always appreciate him being there to back me up, keep me on track, then sit down with me and figure out how we can do it better next time. This is hard, but probably cosplay and prop-making. Some people know that I’ve gone to several Magic events dressed as Gideon Jura in a foam suit of armor that I crafted myself. When I was in high school, my best friend told me he wanted to teach me a game. He had bought two Judgment pre-constructed decks, and we couldn’t figure out how either of us were supposed to get anywhere if we kept having to sacrifice all these lands every time we cast a spell. A player at a local game store quickly set us straight, and I was hooked. In 2017, I traveled ~30 weekends for Magic-related activities. In 2015, when the region’s other L3s were suspended, I was the US-SE’s RC for 21 days. In 2013, I was HJ or FJ for over 700 Individual Magic Tournaments. Felix Ramon Capule III is not a fan of Samurai X.